There’s always been something magical about the movie theater. That’s why so many Americans have spent countless weekend hours building the ultimate home theater setups in their own homes. Sure, it takes dedication and perseverance, but that moment when you hit a button on your universal remote, the lights dim, and the opening credits to your favorite film start makes it all worth it. If that’s you, sitting in awe while your 5.1 (or more – you’re not messing around) surround sound system wows your friends, this article is for you. Because if you’ve spent the time to build a proper home theater, there are good reasons you should think about expanding into the growing world of smart home technology. 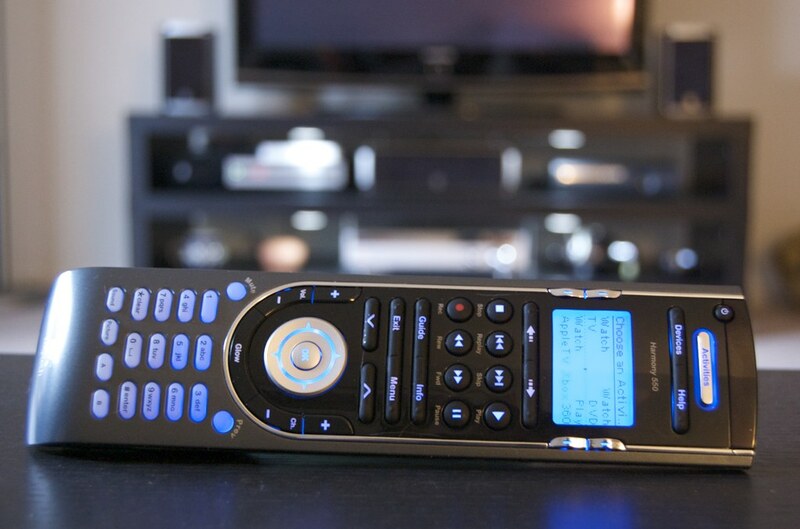 One of the biggest advances of home theater technology over the last decade has been the perfection of the universal remote. Those of us who experimented with these systems in the early 2000s can remember the absolute mess of remotes for everything from your amplifier to your VCR (yet another reason not to remember those days so fondly). But today, whether you’re using your smartphone or a dedicated physical remote, it’s easier than ever to customize and control to your heart’s content. If you remember that fuzzy feeling you got the first time you pressed a single button to perform four distinct tasks in your home theater, we’ve got some good news for you. Smart home integration around several hubs has been improving far faster than those home theater systems ever did. Even looking back at the state of the smart home hub in 2014, a lot has changed. Today, though the smart home tech industry is still fairly young, the latest generation of hubs are working out the kinks. The result is that today, you can finally start controlling a smart home the way you’ve been controlling your home theater for years. Remember, though, that just like with most home theater systems, the key is buying the right system components to start with. Ever dreamed of integrating even more devices into your home theater setup? Or maybe you’ve just always wanted the Imperial March to play when you open your garage door (admit it, you’ve considered the possibility). Now’s the time to take control and see what smart home technology can do for your home theater. Let’s take smart blinds. Maybe your home theater is in the family room and gets a lot of light during the day. But sometimes, even when it’s a sunny afternoon, you need some quality movie time. By installing some darker smart home shades, you can either integrate them into your home theater system, or even control them with your voice. That’s sure to impress your friends visiting from out of town. Then there are smart lights. Sure, with enough determination, you’ve been able to create an automatic dimming of your lights when you start your home theater system for a while now, but smart home tech is making it easier than ever. There are the more typical smart bulbs, but you can also integrate smart strip lighting for that true movie theater look. Okay, we’ve alluded to this above, but it’s time for some hard truths. One of the things most of us love about having an amazing home theater system is the fun of showing it off. If that’s one of your guilty pleasures, then there’s a lot to love about smart home tech. 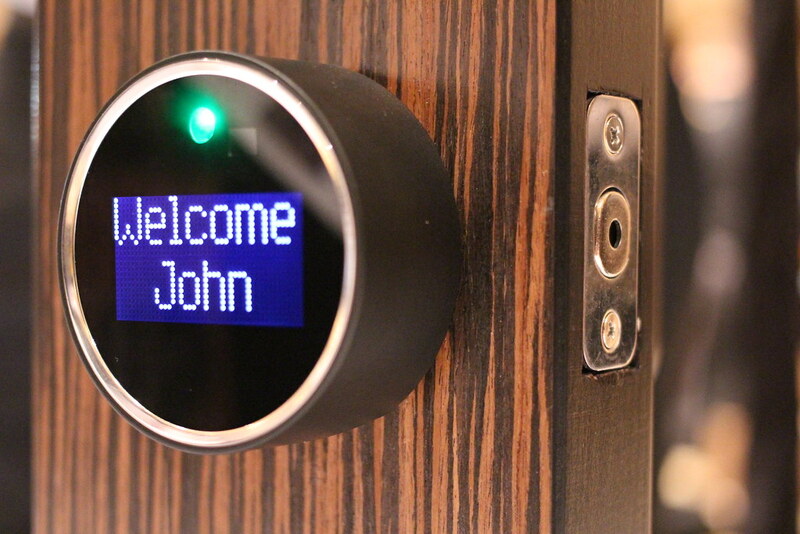 Whether it’s locks that unlock when you approach them or fans that work with your home HVAC system to optimize your house’s temperature (in part by automatically adjusting when the system detects that you’ve left the house), the smart home of today is looking more and more like the future we’ve been promised by decades of science fiction. So why not indulge a bit? The experience of setting up a proper home theater should make setting up smart home tech far easier. You’ve already conquered the learning curve, so maybe it’s time to set up and enjoy. Besides all the fun, smart home tech is making homes better beyond the home theater. Smart home security systems can put you in control even thousands of miles away. Controlling your lights can make potential thieves assume you’re at home, and smart locks can make sure you never have to deal with that nagging feeling you forgot to lock the back door. Or, take home water leaks. If you’ve got a home theater setup in your basement, the idea of it flooding is probably enough to trigger a panic attack, so why not consider a smart home leak detection system? Leaksmart can shut off your main water valve within seconds of detecting a water leak. So all those electronics can stay safe and you can sleep soundly, dreaming epic movie-inspired dreams.